On 28th December, 2016, the Shanghai-Kunming line, one of the longest high-speed railways in the world, which links the China’s prosperous eastern coast to the less-developed southwest, was put into operation. 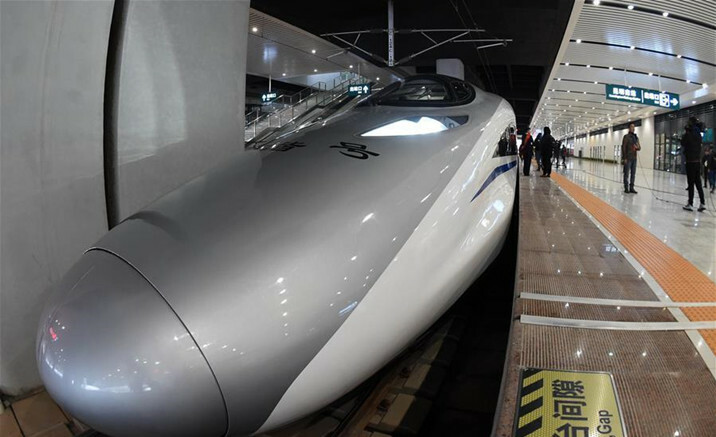 The Shanghai-Kunming line, with a length of 2,252 km, traverses five provinces, Zhejiang, Jiangxi, Hunan, Guizhou and Yunnan, and cuts the travel time from Shanghai to Kunming, capital of Yunnan Province, from 34 to 11 hours, according to China Railway Corporation. The launch of the Shanghai-Kunming line means the country's high-speed rail grid has taken shape, connecting almost all provincial-level regions on the Chinese mainland. Chandara, a Laotian businessman, said, "Because of the speed of 330 km per hour, it will be faster for us to travel on high-speed trains, I am so excited."